Note: Please adjust your Subnet in above iptables command. 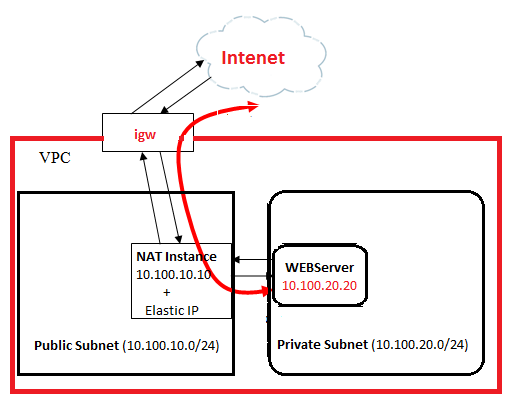 Modify the NAT instance security group to allow all or desired inbound traffic from private subnet (In my case, 10.100.20.0/24) or desired server. All is working fine except navigation from internet to my site in my web server is not working. How can I achieve this, I need my in ELB to have static ip, this scenario could work for me ?